The 88 Project, March 5, 2017: Greetings! We are excited to bring to you our very first weekly Vietnam Free Expression Newsletter, covering news and analysis regarding human rights and the development of civil society in Vietnam. Our take-away for this week: two new arrests; violence against dissidents and activists is on the rise, despite the lower number of arrests; issues of press freedom and labor rights are always matters of concern. Also, in the spirit of International Women’s Day, we’re highlighting some information on Vietnamese female activists and the political participation of women in Vietnam. Finally, yet importantly, please take some time to take action for current prisoners of conscience Đinh Nguyên Kha and Nguyễn Ngọc Như Quỳnh (Mẹ Nấm). More details and links below. If you have any feedback for us or want us to include announcements and/or articles from you/your organization, please email us at the88project.mail@gmail.com. To stay informed and keep the conversation going during the week, follow us on Twitter and Facebook! #Dissidents: On March 3, Vietnamese state-owned media announced the arrests of two Hanoi-based dissidents, Mr. Vũ Quang Thuận and Mr. Nguyễn Văn Điển, for “making and distributing video clips with bad content on the Internet.” The duo has been producing and running a YouTube video channel through which Vũ Quang Thuận discusses political issues and advocates for the respect of human rights and democracy. The last video series they uploaded two days ago is entitled “Guide to Lawful Protest,” which could be one of the reasons that triggered their arrests. Note that recently, there has been an appeal circulated online, allegedly from Father Thadeus Nguyễn Văn Lý, a prominent former prisoner of conscience, calling people to take to the streets every Sunday and holidays starting March 5, 2017 to protest peacefully to “regain the people’s sovereignty.” Read more on Thuận and Điển here. Incidents that happened to Vietnamese activists last week only confirm this trend. On February 27, Protestant pastor Nguyễn Trung Tôn, president of Brotherhood of Democracy, and his friend Nguyễn Viết Tứ were kidnapped, beaten and robbed by plainclothes agents in the central provinces of Quảng Bình and Hà Tĩnh. Frontline Defenders released an Urgent Appeal on March 1 urging the Vietnamese authorities to carry out an investigation into the assault and to guarantee the security of human rights defenders. On February 28, former POCs Phạm Thanh Nghiên and Huỳnh Anh Tú (Nghiên’s husband) were assaulted when they came to visit a fellow former POC, writer Nguyễn Xuân Nghĩa, in Hải Phòng. #Pressfreedom: Here’s a tip for Vietnamese journalists: only ask questions about the specific issues the authorities have already approved! (Does it not sound like something Trump would want to tell the American media?). 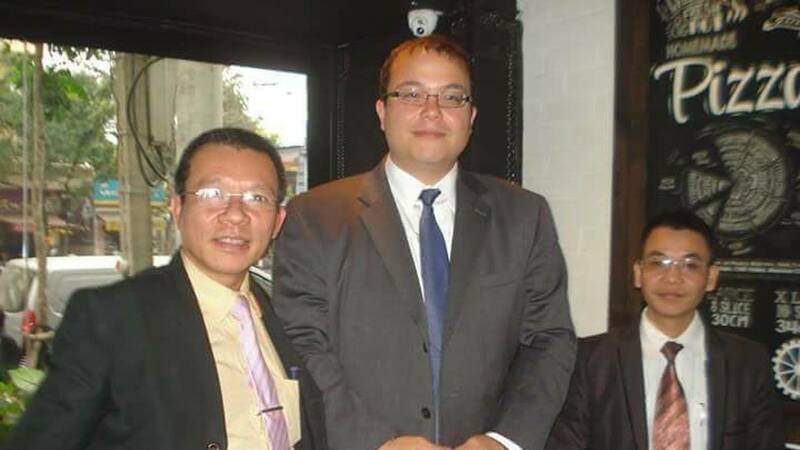 On February 27, journalist Trần Thanh Thắng, the Southern Deputy Representative of Đời sống & Pháp luật (Life & Law) magazine, was fired for “daring” to question a public official, Mr. Đoàn Ngọc Hải, Vice-chairman of the People’s Committee of the First District of Hồ Chí Minh city, about the origins of the luxurious items he owns: a Vertu cellphone and a luxurious watch. The public had noticed these items and notified the magazine. Mr. Thắng’s journalist license may also be suspended until 2020. #LaborRights: Vietnamese state-owned newspapers reported on “a protest involving hundreds of construction workers” at a Samsung plant in the northern province of Bắc Ninh on Tuesday February 28, and explained the reason was “clashes with guards at the plant.” However, according to the overseas labor organization Lao Động Việt (“Viet Labor”), “thousands of workers at a Samsung plant in Bắc Giang, Việt Nam went on strike and clashed with the guards of Samsung company as well as with the police.” The organization also shared video footage which showed that the workers were locked in and questioned the account of state-owned newspapers: “if it was a conflict between the workers and the guards, why did the company shut the doors and lock the workers inside?” Korea Exposé also ran an article, raising questions about what really happened at the factory. We don’t know the definite answer, as there is neither independent media nor independent labor organizations in Vietnam to confirm the nature of the incident. Note that labor strikes are still a taboo matter in state-owned media. Workers’ strikes that occur outside of the state-controlled union structures often go unreported and their leaders fired and/or persecuted by the employer and state as retaliation. Blogger Mẹ Nấm’s temporary detention just got extended for another three months, until May 7, 2017. This means she won’t have access to lawyers and her family until then, as she was charged under Article 88 – a national security provision. She is a single mother of two young children. Her own mother is now taking care of the two kids, who won’t be able to either see or send letters to their mother for a while. To learn more about female activists in Vietnam on the occasion of the International Women’s Day March 8, 2017, check out @KayleeDolen’s post “The Repression of Female Activists in Vietnam,” as well as articles in the Female Activists category on our website. There are still a lot of stories to be told. To learn more about the ideological, cultural, and structural obstacles to women’s political participation in Vietnam, check out Huong’s chapter “Equality Without Freedoms? : Political Representation and Participation of Women in Vietnam,” in The Public Law of Gender: From the Local to the Global, eds. Kim Rubenstein and Katharine Young (Cambridge University Press, 2016). Our own @EllaGancarz will represent The 88 Project at the First Vietnam Cyber Dialogue and Internet Freedom Festival @InternetFF in Valencia, Spain: https://internetfreedomfestival.org/vietnam-cyber-dialogue/. We’ll have more to share once she’s back! Take Amnesty International’s Urgent Action for Mẹ Nấm to demand the Vietnamese authorities to release Mẹ Nấm and to ensure her rights to have access to family and lawyers and to adequate treatment and medical care.